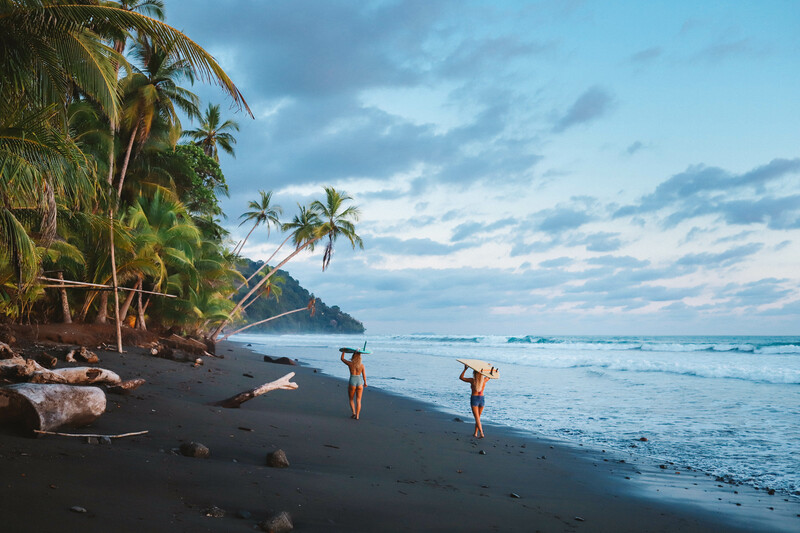 Stay at a locally owned eco-lodge, located at the edge of a 800 acre private biological reserve, and looking directly out at the ocean. 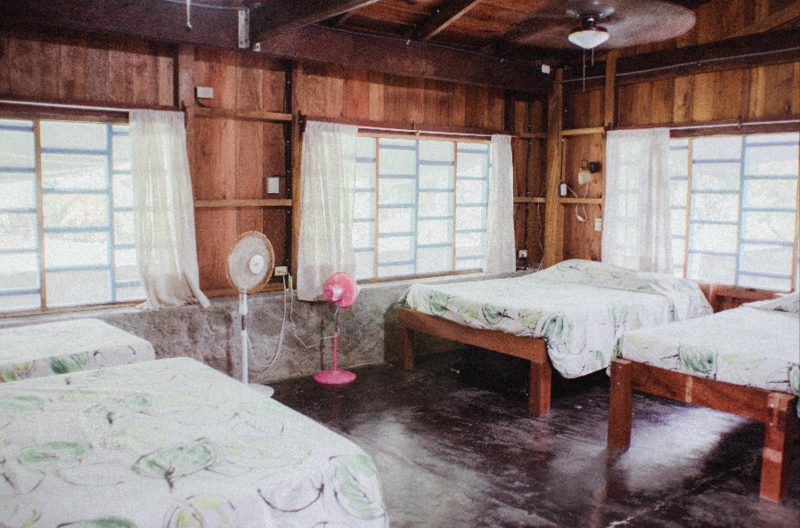 Accommodations are eco-friendly and rustic but comfortable. Cabanas feature large screened windows, fans to keep cool, and ensuite bathrooms. 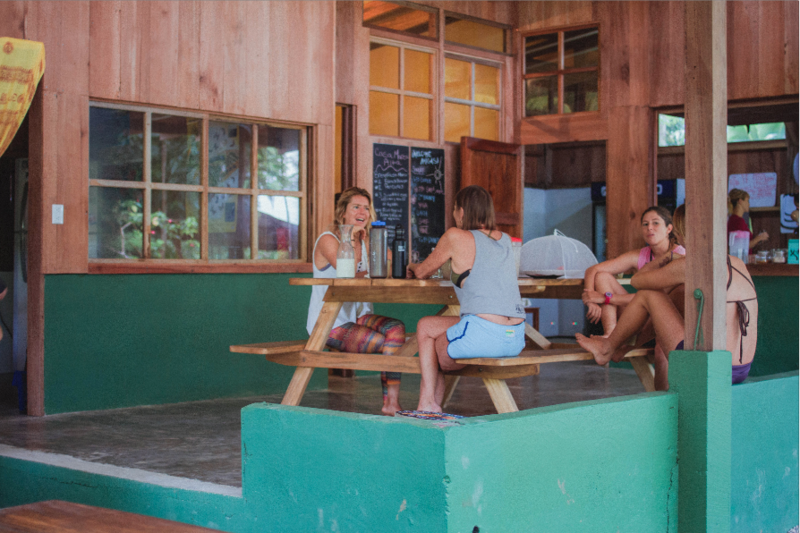 There’s a covered restaurant area where we will have our meals and do our video coaching and “classroom” sessions, and a gorgeous open air platform for yoga. 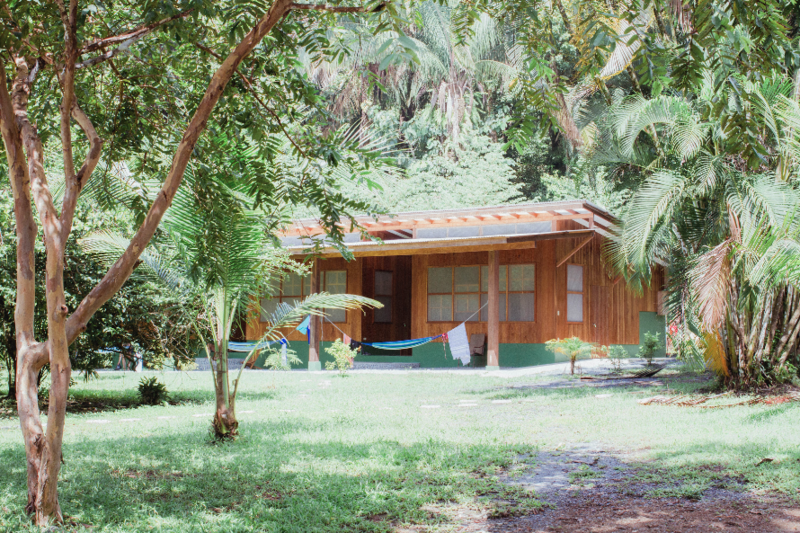 Here in the jungle you’ll have the chance to enjoy disconnecting from the “real” world. There is cell service but no wifi at the resort. To stay connected, activate an international data plan or borrow a bike to visit one of the internet cafes in the area. Family members are always welcome to call the resort number as well in order to check in (that number available in the travel info document). 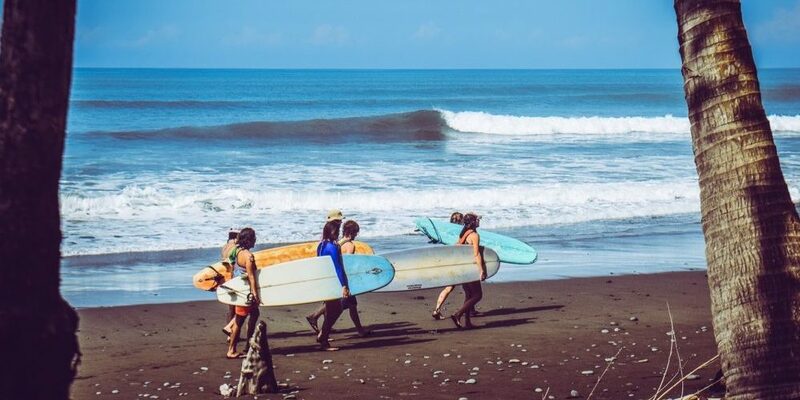 With a fun wave directly out front, a few gentler waves down the beach, and a couple world class waves nearby, we’ll be on a surf safari to get you into the best waves possible. If the swell is bigger we’ll be on a mission by boat or car to surf some of the longest waves in the world. We also like to explore some hidden nooks and crannies that are also super fun and often empty. We typically break up the group by ability so that everyone gets what they’re looking for and we don’t show up anywhere with a big crowd! Ara is so strong and beautiful! 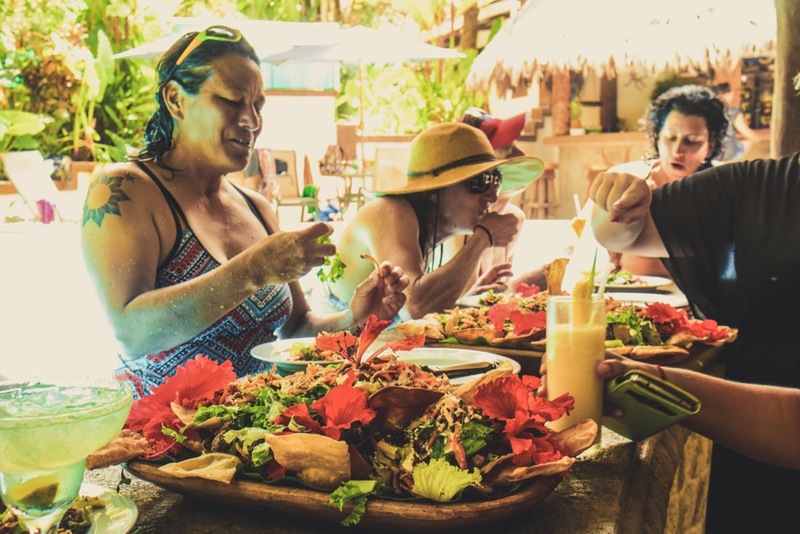 post surf nachos. nom nom!